In this probing and original study, Parks M. Coble examines the devastating impact of Japan's invasion and occupation of the lower Yangzi on China's emerging modern business community. Arguing that the war gravely weakened Chinese capitalists, Coble demonstrates that in occupied areas the activities of businessmen were closer to collaboration than to heroic resistance. He shows how the war left an important imprint on the structure and culture of Chinese business enterprise by encouraging those traits that had allowed it to survive in uncertain and dangerous times. Although historical memory emphasizes the entrepreneurs who followed the Nationalists armies to the interior, most Chinese businessmen remained in the lower Yangzi area. If they wished to retain any ownership of their enterprises, they were forced to collaborate with the Japanese and the Wang Jingwei regime in Nanjing. Characteristics of business in the decades prior to the war, including a preference for family firms and reluctance to become public corporations, distrust of government, opaqueness of business practices, and reliance of personal connections (guanxi) were critical to the survival of enterprises during the war and were reinforced by the war experience. 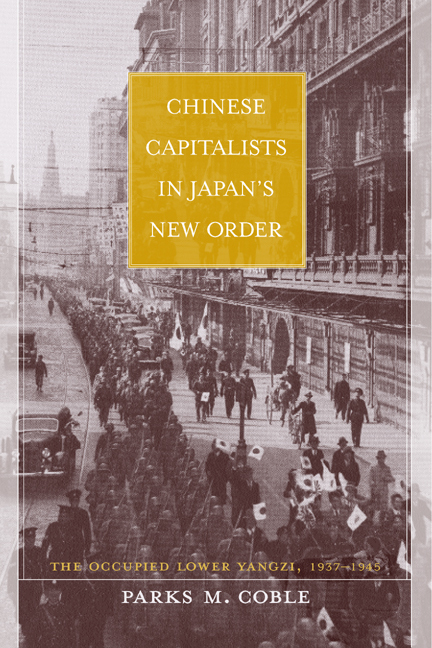 Through consideration of the broader implications of the many responses to this complex era, Chinese Capitalists in Japan’s New Order makes a substantial contribution to larger discussions of the dynamics of World War II and of Chinese business culture. 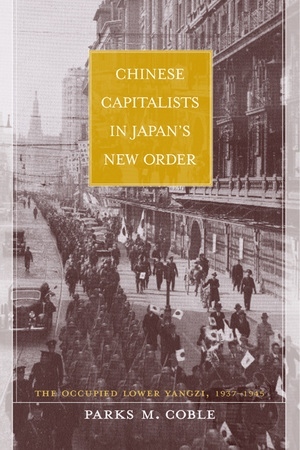 Parks M. Coble is Professor of History at the University of Nebraska and author of Facing Japan: Chinese Politics and Japanese Imperialism, 1931-1937 (1992) and The Shanghai Capitalists and the Nationalist Government, 1927-1937 (1986).